Stephen Colbert is in Russia at the moment, filming segments for his Late Show on CBS. Besides taunting Donald Trump about finding those Comey tapes he now claims to never have had, Colbert has also been doing the rounds on local TV, getting into a vodka-fueled conversation on late-night show Evening Urgant. 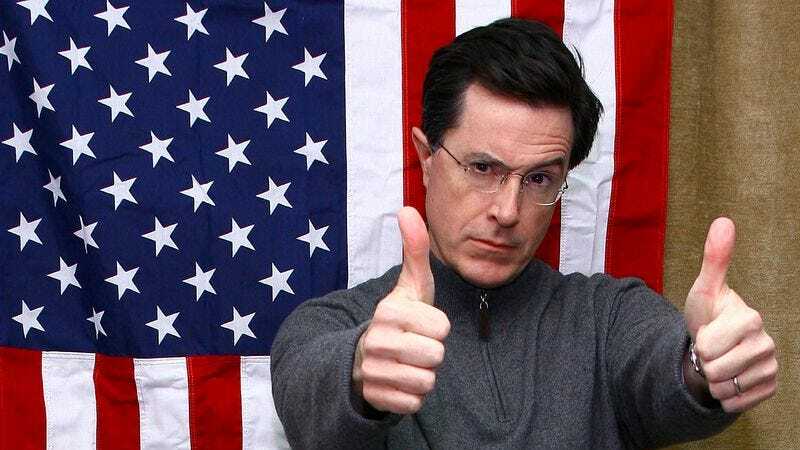 This isn’t the first time Colbert has poked at the mechanisms of political power; in 2008, during his time on The Colbert Report, he launched a similar run at the top, and started his own semi-fictitious Super PAC in 2011, ahead of the 2012 campaign.